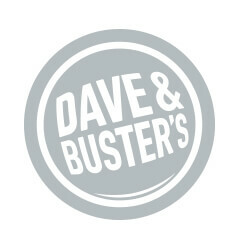 Dave & Buster’s combines entertainment with a restaurant and sports bar venue under one roof. Dave & Buster’s has a broad demographic appeal, serving as an attractive entertainment value for fun-seeking, casual-plus dining customers who enjoy spending time with friends and family. 80+ locations and growing.